Poabs Organic Tea from Seethargundu Estate is of “Single Strain Purity” as the Tea made at the factory is from a single Strain of tea plants from a single Estate as in the “Single Malt Whisky”. All these plants are young and were planted only and after the year 1993. 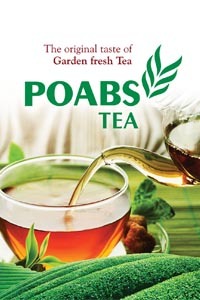 Teas are processed at the on-site facility of Poabs Organic Products Pvt. 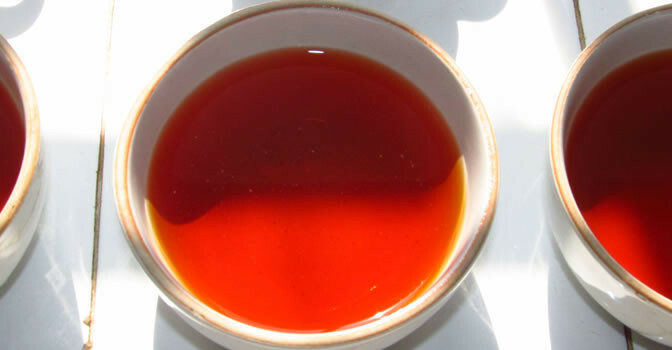 Ltd.
Poabs Tea has a pleasing brightness and briskness to it with a honewort-like aroma. Careful understanding of leaf physiology, character and harvesting techniques has contributed to the green leaf quality, mainly due to selected strain, favourable growing conditions, ideal pruning cycle and improved plucking standard. The new, most-modern tea factory at Seethargundu Estate is fully equipped with advanced tea processing machines as per international standards. 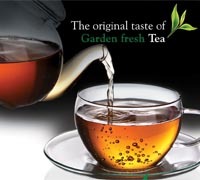 Poabs has the facility to produce Black teas (orthodox and CTC) and Green teas as per customer requirements. 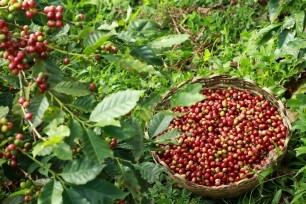 All tea produced at Poabs Organic Estates, Nelliyampathy is certified ‘Organic’. Fair Trade Labelling: All tea produced at Poabs Organic Estates, Nelliyampathy is certified for Fair Trade. Ethical Tea Partnership: All our tea estates are the members of the Ethical Tea Partnership. 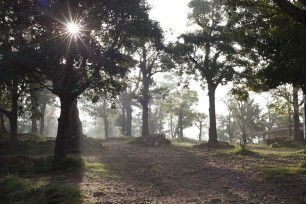 Poabs Estates in January 2014 received certification from Rainforest Alliance, Sustainable Agriculture Network for its tea plantations in the Travancore region, comprising estates at Vandiperiyar and Peermade.